I realised when at @LifesLilLarks the other day that with all my lamp making I have been ignoring the pens I make. 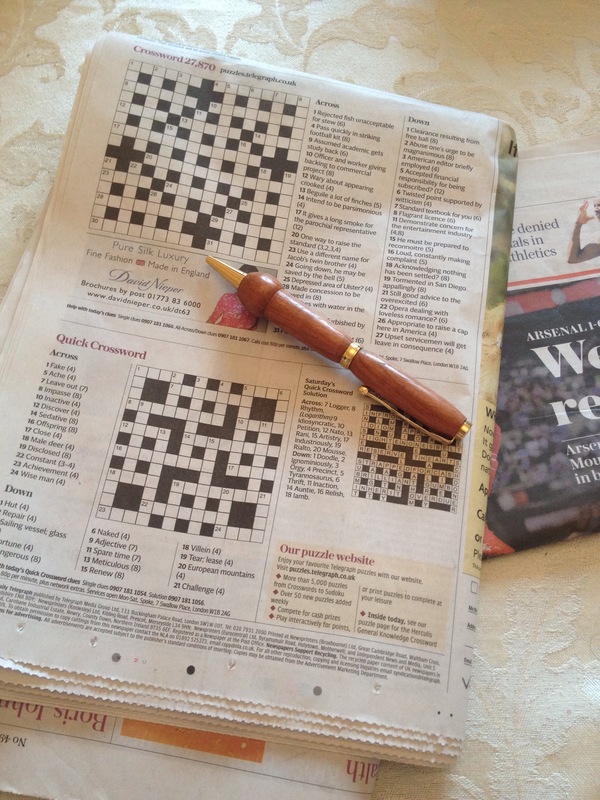 This first is a mahogany one made for crossword doers and doodlers alike. The bulb end is great for arthritis sufferers, giving more feel to writing. It’s also great for ‘players’ who like to know they have something to hold as they think. I’ve said for a long time that the pen picks it’s owner not the other way about. I had so much fun in the Man Cave that this Blackwood (and pale growth wood) pen came out along with a few more. 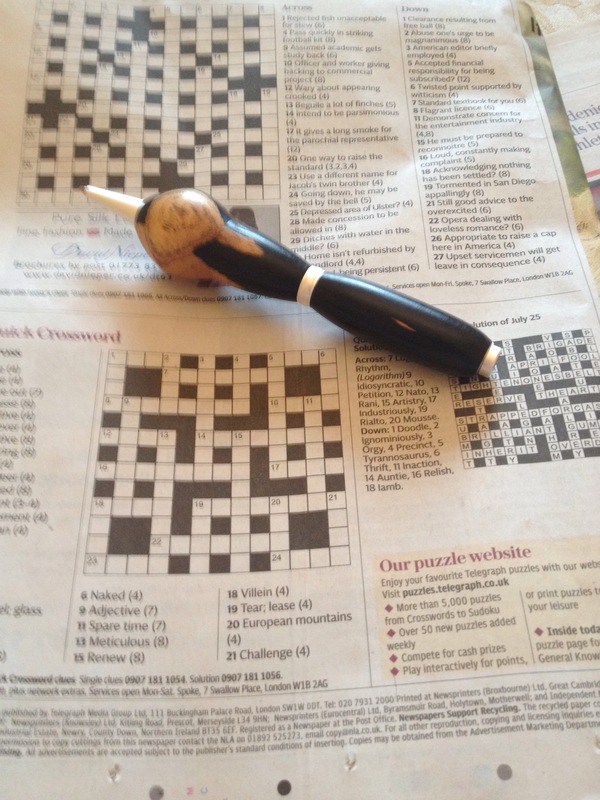 Have a great day, off to attempt the crossword!